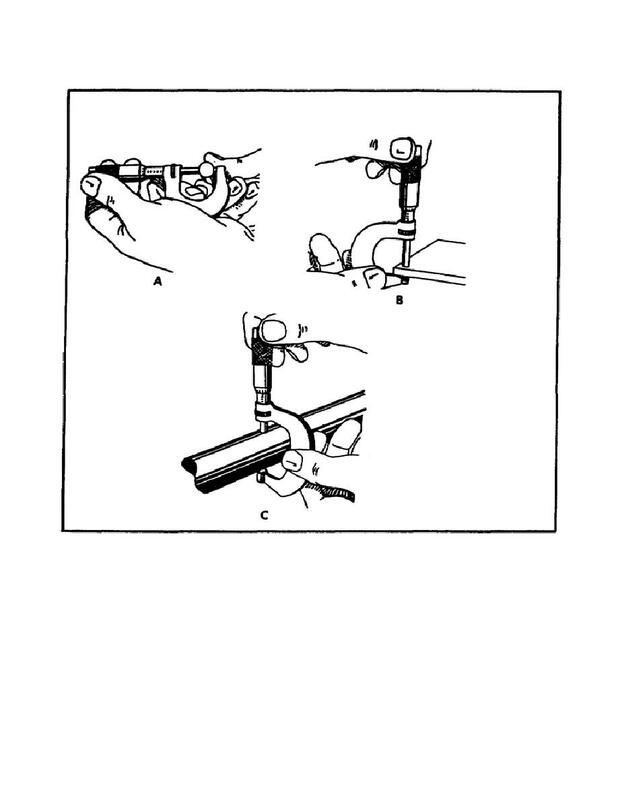 Home > Ordnance Documents and other related manuals > > Figure 193. Using Outside Micrometer. in several places to determine the amount of out-of-roundness. by a special anvil which has been screwed into the frame. of sizes; yet the spindle only moves 1 inch.